Samsung expects record second quarter profits but analysts were hoping for more. Two earnings previews from Asian cell phone manufacturers on Friday showed that Apple's not the only top-tier smartphone company with something to worry about. Samsung and HTC's second-quarter outlooks both disappointed financial analysts, who had largely expected their latest high-end devices to launch the companies to new heights. Although Samsung's Galaxy S4 and HTC's One have sold well so far, neither company met analysts' forecasts for sales or profit. That's particularly troubling, since several smartphone industry forecasts have indicated that interest in Samsung and HTC's best smartphones has likely peaked. Shares of Samsung fell 4% on Friday, while HTC's shares rose 1%. South Korea-based Samsung said it would report operating profit of $8.1 billion to $8.5 billion for the three months ended June -- which works out to a minimum increase of 44% over the same period last year. Sales were also higher than last year, rising a minimum of 18% to around $50 billion. That marked the company's best-ever earnings guidance for the second quarter -- but it still fell short of analyst expectations. Though analysts say HTC's One has sold admirably, it didn't stop HTC from continuing its downward spiral. The Taiwanese company said its second-quarter profit would come in at around $42 million, down 83% from a year earlier. HTC reported sales would be $2.35 billion, down 22%. Samsung shares have lost around 12% this year, and HTC's stock has fallen 37%. The tale is a familiar one. Apple's (AAPL) iPhones have also been selling well, but growth has slowed and investors have punished the stock lately. BlackBerry has also struggled to gain traction with its new Z10 smartphone, and its stock has plummeted. Apple shares have lost 21% of their value since January 1, while BlackBerry (BBRY) has lost 19% and fallen below $10 per share. Now that Samsung and HTC, two of Apple's biggest rivals, are mirroring that trend, industry analysts believe that the top tier of the market is becoming saturated. Apple is rumored to be creating a lower-end version of its smartphone to expand its share and better compete with No. 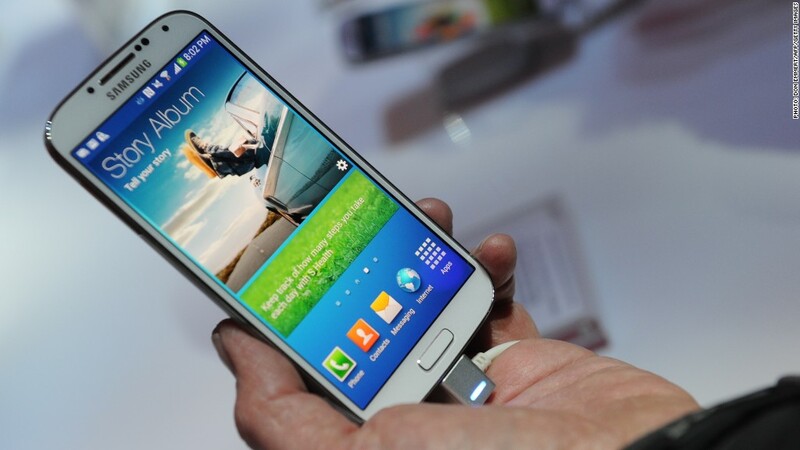 1 Samsung, whose phones run on the Android operating system from Google (GOOG). Samsung is scheduled to deliver full results for the second quarter at the end of July. -CNNmoney's David Goldman contributed to this report.